for a fourth time in CA-17 come November. 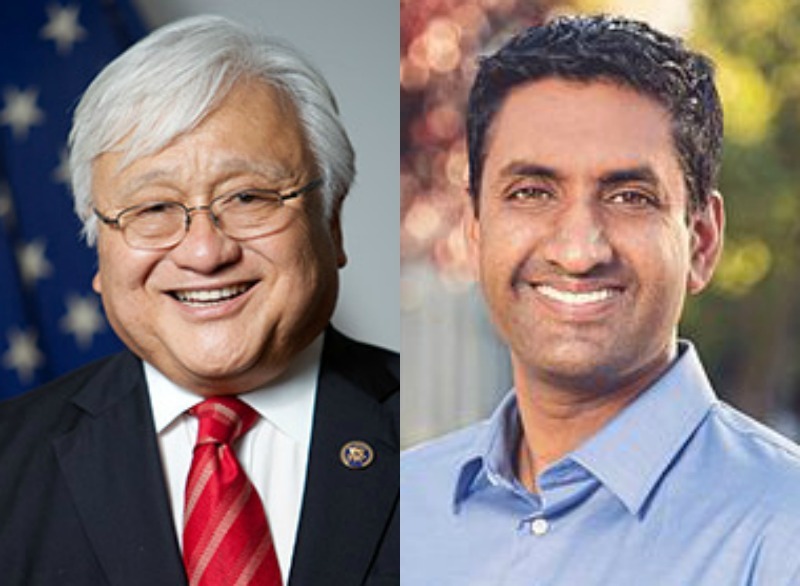 Newly-minted CA-17 front runner Ro Khanna released an internal poll Thursday that gives him a six-point advantage over fellow Democratic Rep. Mike Honda. Khanna won last month’s primary by 1.7 points and the poll, conducted June 26-30, shows the lead has grown. According to the survey of 500 likely voters, Khanna leads Honda, 42-36. Twenty-two percent of respondents reported being undecided for the November election. The poll’s margin of error is +/-4.4 percent. The survey also indicates Honda’s unfavorables increased by nine points over another internal poll from September 2015. More interestingly, among those in the survey who indicated they had voted in the primary, 38 percent did so for Khanna, while 37 percent registered a vote for Honda. The result is nearly similar to the final tally. The release of the survey by the Khanna campaign follows the day after Honda reported much better than expected fundraising results. Between April 1 and June 30, Honda raised $471,000 for the period, leaving him with $951,000 in cash on hand. The numbers are somewhat surprising. Many observers predicted the fallout from Honda’s pending ethics investigation and the upset loss June 7 would temper enthusiasm among potential donors. Khanna, meanwhile, still holds a cash advantage over Honda. His campaign reported $1.4 million in reserves, but raised just $317,000 during the same period last spring. Posted in CA17, campaign finance reports, congress, fundraising, June primary, Mike Honda, November election, poll, Ro Khanna. Bookmark the permalink. The best way to raise Khanna's unfavorables is to let him do what he's already doing: spend more time in the community meeting with local leaders…people love his resume but when they have to deal with his transparent brown-nosing and pandering the story is different. Would you hire someone who can't get a reference from his former employer like he can't get an endorsement from Obama? In regard to the above post of 10:05, while I have never met Khanna, and therefore what I “know” about him is limited to what I have read, however most high ranking politicians, and especially in the Bay area, are total phonies, and in fact the reason that most of them have managed to climb to the top ranks of that extreme cesspool of politics is because they are totally unprincipled phonies. And it relates to the adage, “No man is a hero to his butler,” since a high percentage of the “greatest” and biggest “heroes” are actually total sleazeballs with fantastic PR machines that successfully fool most of the general public, and even though those closest to the “great hero” realize that he is as phony as can be. OK, but as mentioned in your podcast with Ro, his “internal poll” before the primary had him losing to Honda by over 10% points. There are about 250,000 registered voters in CA#17. Getting 500 people to even answer the telephone must be a challenge. These polls, at this date, are not worth a tweet.